What is a Work and Development Order (WDO)? Work and Development Orders (WDOs) are a way to help people who can't pay their fines. People who are eligible for a WDO can clear their fines with approved activities instead of money. The Work and Development Order Service is a specialist service of Legal Aid NSW. People who can't pay their fines. 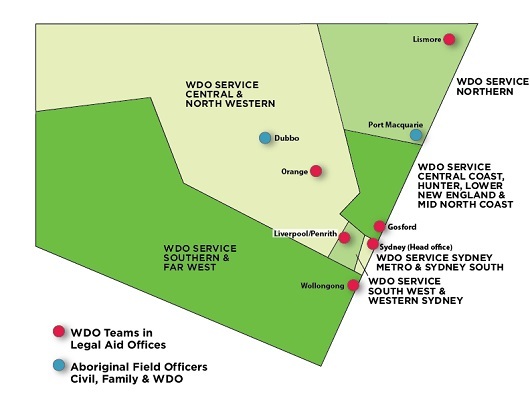 Not-for-profit organisations, government agencies and health practitioners who want to become WDO sponsors. Free legal advice for people with fines debt at one of our fines clinics or fines days. Contact us to make an appointment. Advice, assistance and education sessions for service providers interested in becoming approved WDO sponsors.